I Want to Eat it All!!! The dry leaves have a very fresh and green smell. It is a floral and grassy scent that is very inviting. They are a vibrant green color and look great! Every twist and fold is visible. The wet leaves have a floral, spinachy smell. They are very strong and would last another three or four infusions, at least. They are a forest green color and about an inch in size on average. Some are smaller, some larger. The liquor is yellow, with a slightly floral air. It has a light spinach/grassy taste with an Osmanthus air on the finish. The sweet note in the finish carries to the aftertaste. Overall, it was good! I would buy, drink and recommend this tea! I like the floral notes, though they aren’t really a taste. It is more of an air to me. 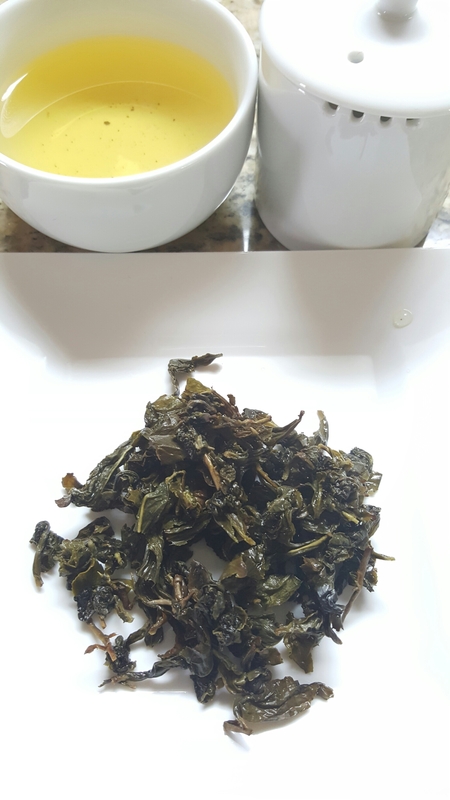 I think that offers a great balance for Oolong lovers. You still have that Oolong taste and quality you love, but with a floral accent from the Osmanthus.